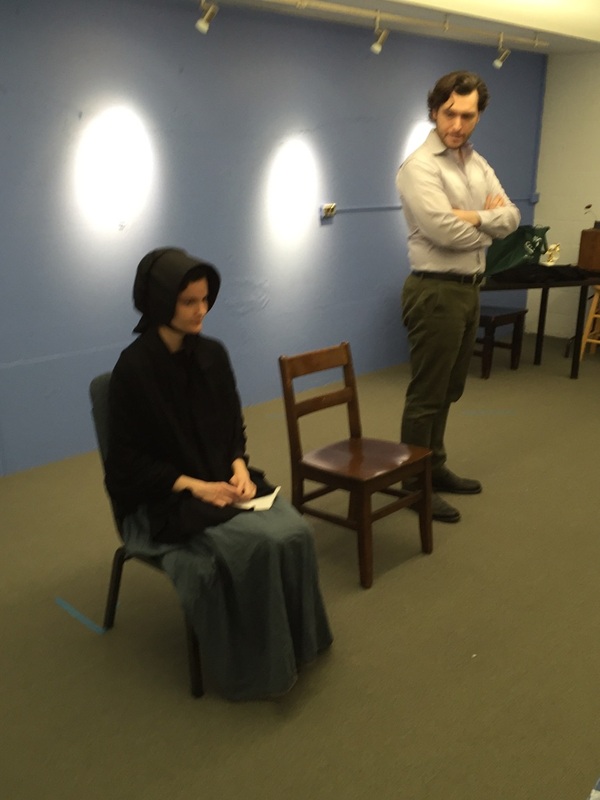 Behind-the-Scenes Look at Quotidian Theatre Company's Production of "Doubt: A Parable"
Quotidian Theatre Company will present Doubt: A Parable, the Pulitzer Prize-winning mystery drama by John Patrick Shanley, at The Writer’s Center from April 7 through May 7. In the interview below, director Stevie Zimmerman shares her unique approach to shaping the play, and also what makes it distinct among Quotidian performances. Stevie received a Master’s of Arts Degree in Directing from the University of Leeds in England. In the Washington, DC area, she has directed performances for 1st Stage Theatre, Peterson’s Alley Theatre Productions, and Mclean Drama Company. Stevie is also a former Professor of Theater at The Hartt School in Hartford, Connecticut. TWC: How did Quotidian select Doubt: A Parable? S: Well, I didn’t choose it myself. Quotidian chose it. I think the impetus behind that was in part because it is a great play. The play is Doubt: A Parable by John Patrick Shanley. It has four main characters. The principle one is Sister Aloysius, who is a nun who runs a school for boys and girls in The Bronx. She has a pretty strict view of her role in the upbringing of these children and the importance of being the moral authority for them. Under her direction is a younger nun, called Sister James, who is a much more innocent, touchy-feely kind of nun who thinks the children should like her. One of the rectory priests, Father Flynn, is also a teacher. Sister James comes to suspect that he is doing inappropriate things a boy, the only African American child in the school. TWC: What are the central themes of the play? S: I believe that there is no one message. That’s one of the reasons the play is called doubt. John Patrick Shanley actually said that he thinks there is a second act to the play—the play is presented in one act with no breaks. He believes that “Act Two” is what happens when you get in your car, go home, and as the questions: Who did what? Who knew what? What did they know and when did they know it? The production that I’m trying to end up with is one where there is no clarity. Undoubtedly, people will have very strong ideas one way or the other, but there is no clarity offered within the play. At the end of the play, we do not know for sure whether the nun is right in her suspicions, or the father is right in his protest of innocence. In terms of a message, I guess that it’s about the importance of being open to the possibility of doubt, being open to investigation, not being as clear-cut and decided as we tend to be. You can apply that to what’s going on in politics; you’re either with me or against me. TWC: What is the most remarkable aspect of this piece? “This is a play about two nuns and a priest in 1964. What could that possibly have to say about anything in my life?” I really think it does. TWC: How is this play different from past Quotidian Theatre Company productions? S: This is my first time working with Quotidian, but I’ve been to several of the shows, and I know they have a very loyal audience. I think Doubt fits in the company’s interest in strong writing within a realistic vein. There are four distinct stories within the characters in the play. Where it may differ is the fact that it doesn’t have clarity of ending. Doubt: A Parable will run from April 7 through May 7, 2017. Members of The Writer's Center can purchase tickets at a special $15 dollar rate. Tickets can be purchased here. You won’t want to miss it! Saturday, April 1, 2017, 2 p.m. The DC Poet Project is a poetry open mic and reading series featuring top local authors. At each event the featured poets will select a winning open mic reader for a $100 cash prize and the chance to compete for a book contract. We welcome Debra Nystrom and Lisa Russ Spaar, poets who teach at the University of Virginia in Charlottesville. Nystrom’s new collection, Night Sky Frequencies, was published by Sheep Meadow Press. Lisa Russ Spaar will read from Orexia (Persea). The reading will be followed by a reception and book signing. The Library of Congress will honor Marilynne Robinson, the 2016 Library of Congress Prize for American Fiction winner, with a special event titled “Fiction, Faith and the Imagination." The panel discussion will include Robinson, Pulitzer Prize-winning novelists Geraldine Brooks and Paul Harding, and physicist and best-selling novelist Alan Lightman, discussing the ways faith informs their work. The conversation will be moderated by Steven Knapp, president of George Washington University. Laila Lalami, in Hope and Other Dangerous Pursuits, Luis Urrea, in Into the Beautiful North, and Shobha Rao, in An Unrestored Woman, speak to lives that are never stationary and to communities that have been uprooted. They’ll come together on-stage to read from their work, and discuss what it means to be a citizen in our volatile world with moderator Sarah Stillman, New Yorker staff writer and director of the Global Migration Program at Columbia University Graduate School of Journalism. Visiting poet Teresa Mei Chuc was born in Vietnam and immigrated to the U.S. shortly after the Vietnam war ended. Her most recent collection of poems is Keeper of the Winds. She will be joined by Karren LaLonde. Alenier, whose recent collection, The Anima of Paul Bowles, draws inspiration from the lives of Paul and Jane Bowles. The reading will be followed by a reception and book signing. Meet Kristen Radtke, author of the genre-smashing graphic memoir Imagine Wanting Only This. Discussion will be followed by a book signing. 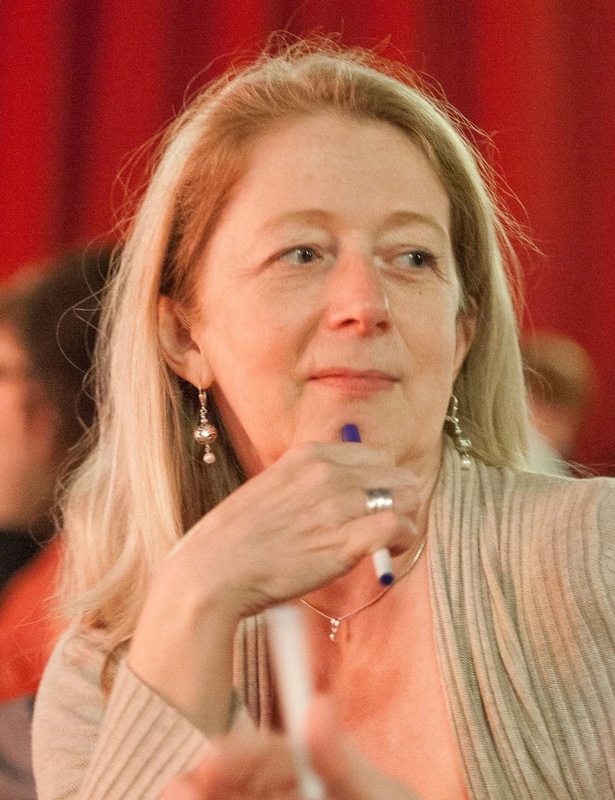 The 18th annual Bethesda Literary Festival will host an array of local and national authors, journalists and poets, as well as writing contests and poetry contests. All of the events are free and are held throughout downtown Bethesda. Join New York Times bestselling authors Kate Alcott as she discusses her latest novel, The Hollywood Daughter. The reading will be followed by a book signing. John A. Farrell, prize-winning biographer, discusses former president Richard Nixon in his newest acclaimed biography. How many rings were forged by Sauron in J.R.R. Tolkien’s Middle Earth? Excluding monuments, what is the tallest building in D.C.? Sign-up starts at 7 p.m. in The Den. Make your Bethesda Literary Festival experience complete--attend the open house at The Writer's Center. Meet new Executive Director Ed Spitzberg, learn about writing workshops, readings, outreach programs and tour our nostalgic building. Stick around for treats and a round of Literary Trivia. Come share your writing at open mic! Sign-up for readers starts at 1:30 and the reading starts at 2:00. Waters will be in conversation with Septime Webre, Halcyon House's Artistic Director and former Artistic Director of the Washington Ballet.This event is part of the Halcyon Stage Book Party with Politics and Prose series, inviting celebrated authors to discuss their work in an intimate social setting. Join the DC literary community and successful authors, agents, and publishers from around the country for the 5th Annual Washington Writers Conference at the College Park Marriott Hotel & Conference Center in Hyattsville, MD. See why this inspiring and instructive two-day conference has quickly become a leading literary event in the DC area. This year, the CityLit Festival welcomes MacArthur Fellow Chimamanda Ngozi Adichie (Americanah) to headline this year's event. Politics and Prose at Busboys and Poets 14th & V welcomes Abubukar Adam Ibrahim to present his new book Season of Crimson Blossoms and Sarah Ladipo Manyika to present her book Like a Mule Bringing Ice Cream to the Sun. Ibrahim and Manyika will be in conversation with Tope Folarin, a writer based in Washington D.C. This event is supported by the Young African Professionals (YAP) D.C. Network.